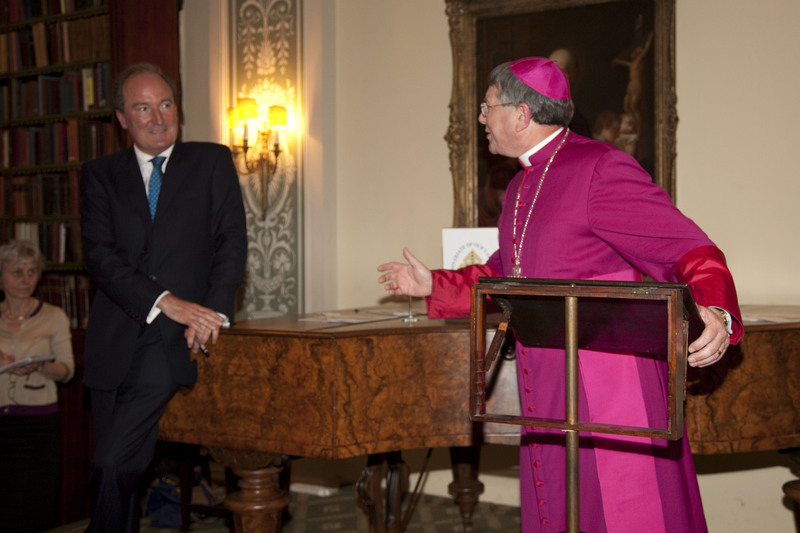 The well known jo urnalist Charles Moore, whose authorised biography of Margaret Thatcher has recently been published, has been speaking about the Personal Ordinariate of Our Lady of Walsingham at a packed gathering at the Oratory Church in London, organised by the Friends of the Ordinariate charity. He said the Ordinariate should not be seen as a “decompression chamber” for former Anglicans to adjust to becoming Catholics, but rather as a positive and enriching thing in itself, which is built to last. Moore said he was “tremendously keen” on the Ordinariate – the structure which allows former Anglicans to enter into full communion with the Catholic Church while bringing with them some of the Anglican traditions in which they were nurtured. He said he was sorry that it had not existed at the time of his own conversion to Catholicism 20 years ago, as there were aspects of his Anglicanism which it was a great pity to have had to cast aside . The Ordinariate offered great hope, Charles Moore said, but it was important that it should resist “the natural desire of bureaucrats” – in this case in the wider Catholic Church – to make everything uniform . Ordinariate clergy should, of course, work for and with the Catholic Church as a whole, “but it mustn’t become just a case of bishops making a lot of former Anglican priests work jolly hard for them”. The talk followed the celebration of Evensong and Benediction in the Little Oratory Church at which the Ordinary of the Ordinariate, Monsignor Keith Newton, presided and music was provided by the well known Oratory choir which sang The Short Service and Almighty and Everlasting God by the English composer, Orlando Gibbons. Moore said he could see how well Evensong and Benediction – from the respective traditions of Anglicanism and Catholicism – combined and how harmonious, beautiful and prayerful they were. 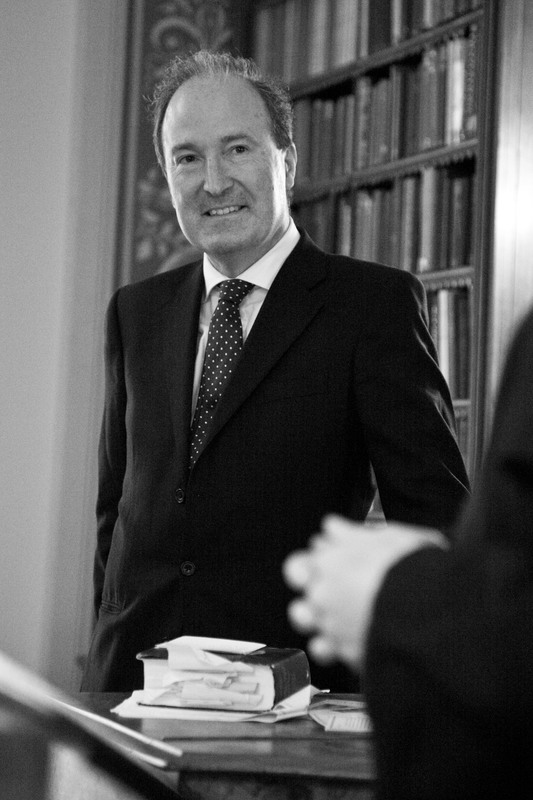 The second half of Charles Moore’s talk was devoted to Margaret Thatcher and her religious beliefs. He said Mrs Thatcher did not share her lay Methodist preacher father’s view of Catholicism as “spiritual totalitarianism”. “Arguments about different denominations did not interest her; she was looking for people who were serious about the truth and she found that in Catholics ”. He said Mrs Thatcher’s faith was very strong and he recalled how she used to ask for the Bible to be read to her in the car on the way to engagements and of how she knelt and prayed after the bomb attack on the Conservative Party conference in 1984. The Provost of the Oratory, Fr Julian Large, in his welcome to the guests, many of whom were members of the Ordinariate, spoke of the real contribution it was making to the liturgical, as well as the spiritual, life of England. He said he thought the Oratory’s nineteenth century founder, Fr Wilfrid Faber, would have been “pleased, intrigued and delighted” at the idea of Evensong being celebrated at the famous London church.